According to the National Weather Service, the hardest hit zone will stretch from Minnesota and Iowa through Michigan - including Chicago, Detroit, Des Moines, Green Bay, Milwaukee and Madison. The Chicago Weather Service office has predicted temperatures below zero for 60 consecutive hours - from Tuesday afternoon through Thursday. "Only eight times since 1872 has Chicago recorded subzero highs on at least two consecutive days, the most recent being early February 1996," it announced. All of Wisconsin and Minnesota, along with much of northern Illinois is expected to remain below zero on Wednesday. "There’s no mild way of saying it. Brutal cold is coming," said the National Weather Service, adding "It's forecast as the prolonged coldest in at least 5 years, but potentially much longer." There's no mild way of saying it. Brutal cold is coming. 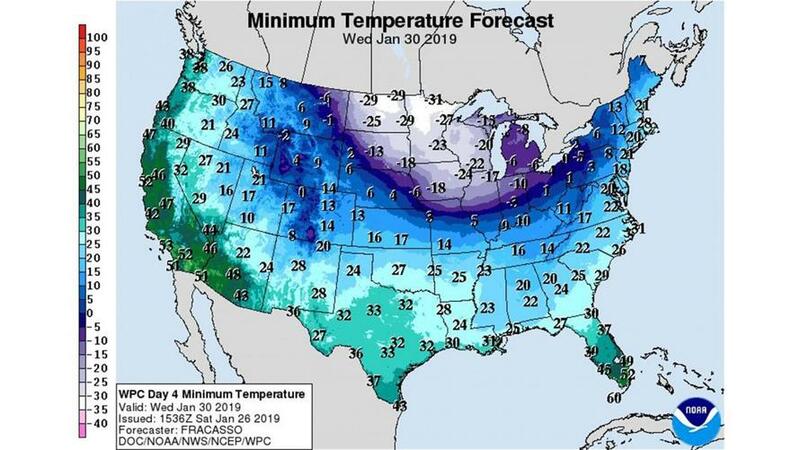 "Temperatures can be held 20 to 40 degrees Fahrenheit below normal across most of the Midwest around midweek," said AccuWeather Senior Meteorologist Brett Anderson. Records for the cold can be challenged both during the day and at night. 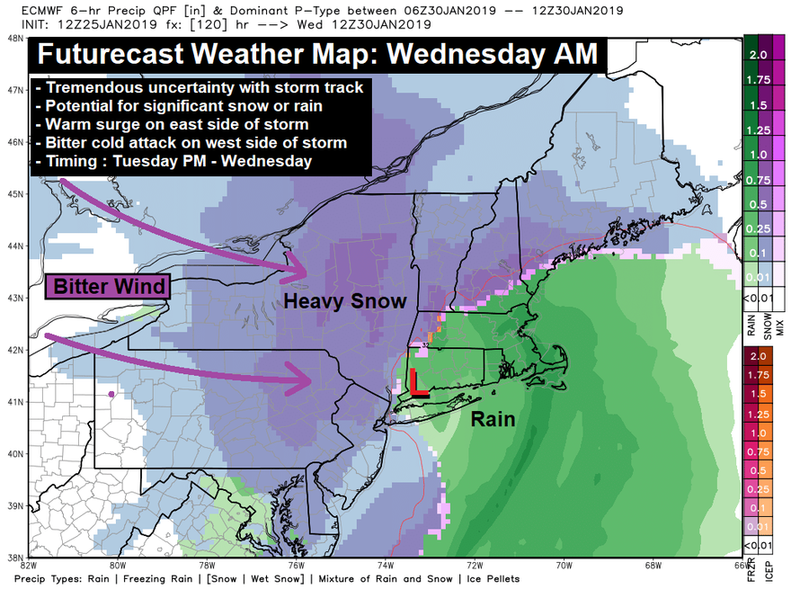 The Northeast will receive a heavy dose of snow and freezing winds, along with heavy rain according to Hudson Valley Weather. 12z GFS printing out 850mb temperatures down to -44ᵒC in the CONUS on Tuesday.